Are you looking to purchase a hot air balloon for yourself or your company? Fly Ohio Ballooning is excited to be the Central Ohio sales representative for Lindstrand Hot Air Balloons. 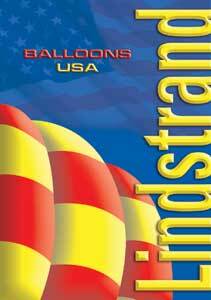 Lindstrand defines the leading edge in ballooning technology. Whether it is a balloon used for pleasure flying, competitive flying, passenger rides or commercial advertising Lindstrand is the answer. Please visit their website www.lindstrand.com for more information. Then visit us so we can work to create the balloon of your dreams.